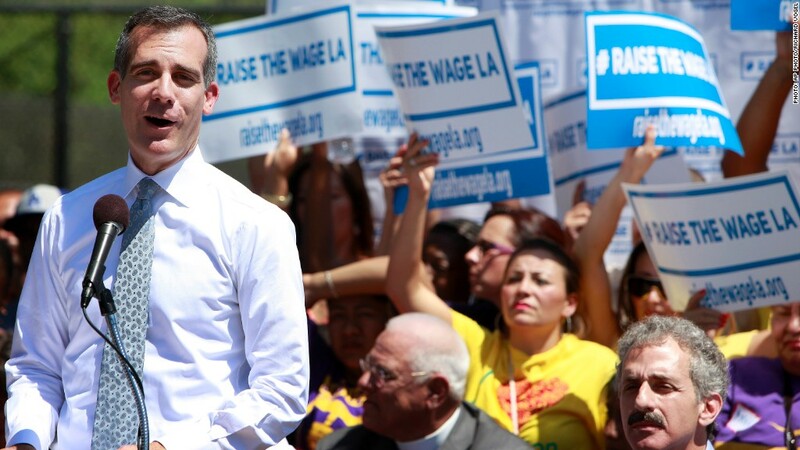 L.A. Mayor Eric Garcetti unveiled his plan to increase the city's minimum wage on Labor Day. The push for a higher minimum wage picked up momentum Monday when the mayor of the nation's second largest city called for an increase to $13.25 by 2017. Los Angeles Mayor Eric Garcetti's proposal would provide raises for 567,000 city workers, if approved by the city council. Under his plan, the hike will be phased in over three years. It would jump from $9 to $10.25 in 2015, then to $11.75 in 2016, and finally to $13.25 in 2017. After that, the wage would be tied to inflation. If the plan goes through, the minimum wage for Los Angeles workers would be among the highest in the country. Seattle and SeaTac in Washington have approved the nation's highest minimum wages of $15 an hour. 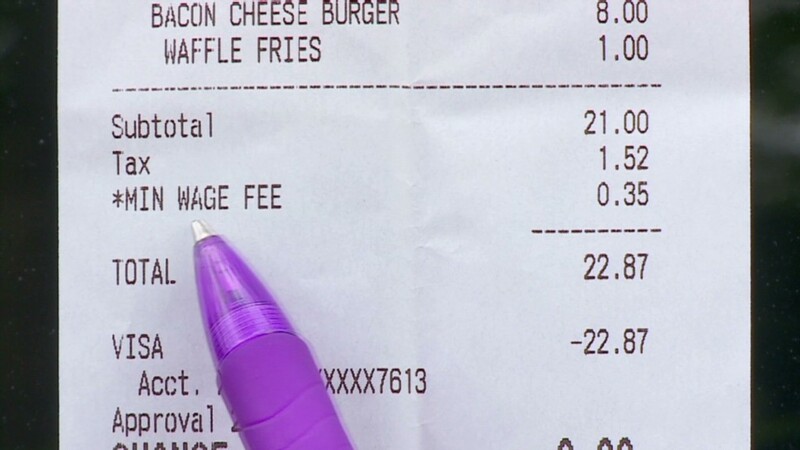 Other cities, such as San Diego, Richmond, Calif., and New York City have also passed laws increasing minimum wage for workers. L.A. workers already earn California's minimum $9 hourly wage, which is higher than the federal minimum wage of $7.25. The Obama administration has advocated to raise the federal minimum to $10.10, but efforts have stalled in Congress. That's led a number of cities and states just this past year to pass legislation increasing local minimum wages. Supporters of a higher minimum wage say that it will lift some workers out of poverty. About 1 million people in Los Angeles live below the poverty line, according to the mayor's office. But opponents argue that it will hurt businesses and kill jobs. Even a report prepared for the L.A. mayor by professors at the University of California, Berkeley, said that his proposal would increase costs for businesses in the restaurant, retail, and manufacturing sectors.